If your iOS-Device is beginning to run out of memory it’s time to look for files, their sizes, and their locations. And it’s time to clean up the mess. Can I upgrade the memory of my device? That might be your first question when your device is beginning to get less and less free space. The answer is, no. The memory of an iOS device is fixed to that value you once had when you purchased your iPhone or iPad. Where can I see the the memory usage? Go to Settings – General – Usage. The image is taken from an iPad 3 with 64 GB. What you see is that the sum of Available and Used is 57,2 GB. The difference to 64 GB is 6.8 GB and used for the operating system. On an iPhone you will get a slightly different value of 6.6 GB for iOS. What you also can see is the space used by the installed apps. If you tap on a non built-in app the App Size is and the size of it’s data are displayed. The used space is displayed in a descending order. This enables you to quickly identify the apps which are on the heavy side. On most of the devices running out of memory the total size of movies, music, podcasts and (with reservations) photos are responsible for the problem. What you can see is that the problem usually does not come up with photos. 800 photos would use 1 GB unless your device is an 8 GB version. There is a disadvantage in the concept of the iOS filesystem often not taken into account. Specific folders are assigned for each app on your device. An app only can work with these folders and not with folders of another app. This is what Apple calls ‘The sandbox mode‘ and it’s designed for security reasons. An iOS app’s interactions with the filesystem are limited mostly to the directories within the app’s sandbox. Because it is in a sandbox an app is generally prohibited from accessing or creating files outside its home directory. That’s why Apple implemented a functionality called ‘Open in’ to enable transferring a file from one app to another. If you use ‘Open in’ frequently it may take a lot of space and, what should always be avoided, there are redundant copies of files. After a short time you won’t know where to find the original version. But this is only the case if you use many apps which in general provide the same features. for basics of the iOS filesystem. Frequently cleaning up your device in total saves time. If you make an extensive use of the ‘Open in’ command delete the transferred files either at source or final destination, that means in the local folder of the source or the finally used app. I recommend to do so anyway regardless of whether there is a low memory problem or not. 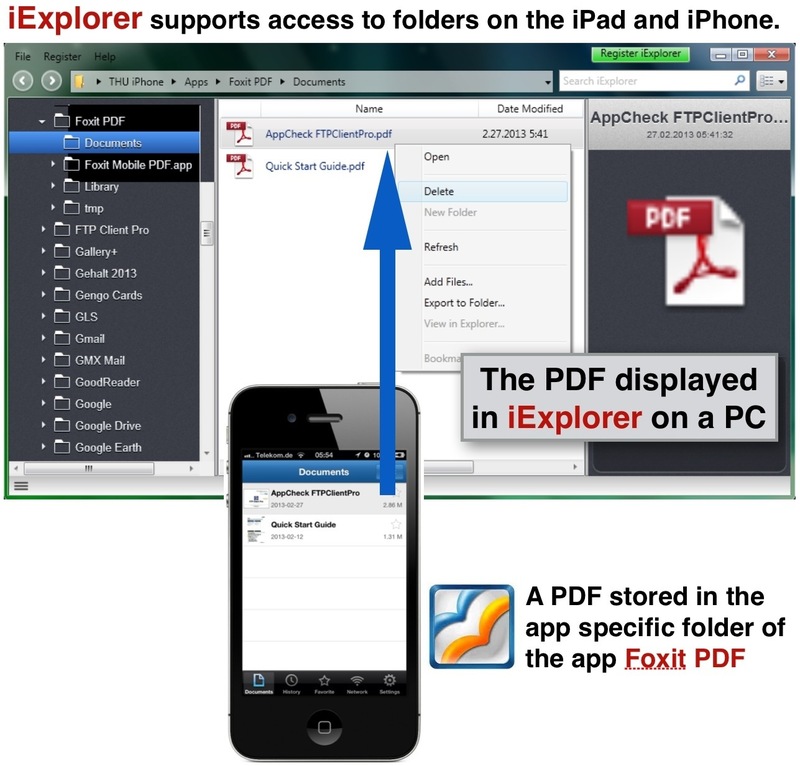 Keep in mind that iOS provides no ‘Finder’ respectively ‘Explorer’ to perform a full-text-search on your device to find out where the required file is located. You remember a famous dictum of Steve Jobs? It just works. Agree, but the user has to fire on all cylinders as well. Tap on apps you do not need any longer and then tap on Delete App. Keep in mind that whenever you delete an app the related data are deleted too. They only cam be restored from external copies (iTunes, cloud storage, hard drive, USB). Open frequently used apps and delete unwanted files stored in the app specific folders (folder for documents and folder for images). Transfer rarely used files to a cloud storage e.g. iDriveSync or Dropbox or a local hard drive via iTunes File Sharing. Take your time to delete apps from your device. Nobody needs 50 or more apps, except bloggers who check them all for you. You might say I need them all because none is fully developed and meets my requirements. Agree. iPad is ready but at the time the software is still a bit embryonic. So update all apps on your device and read the update feature description of apps you use. Some apps have got important extensions to their feature list so that other apps may be obsolete. Apple’s apps iBooks, iTunes U, and Podcasts are space consuming apps. Delete media you don’t need any longer. If you need some of them again later you can download them again. You don’t have to pay another time for as Apple manages your list of apps and media and allows repeated downloads as often as you like. To het an overview of files on an iOS device I used the demo version of iExplorer by Macroplant with some limitations. After installing the application on a Windows PC or a Mac and connecting your iOS device to your computer via USB it allows you to access the app specific folders on the iPad or iPhone. You can use this app to delete files on your device that are no longer needed. If so I would appreciate your comment or share with your friends.